Stay awhile. 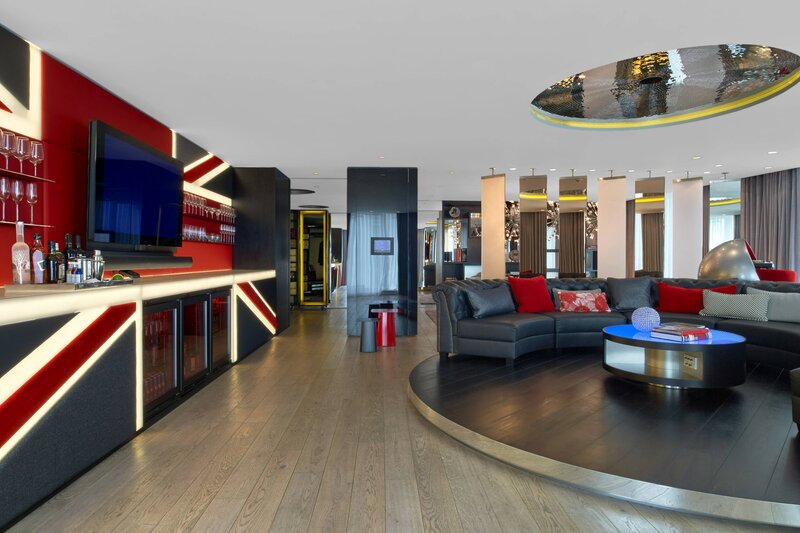 Experience urban living magnified at W London - Leicester Square, where 192 guest rooms and suites are customized by the celebrated design firm Concrete. A reflection of the characteristic refined/rebellious contradictions and quirks of Londoners, each space features sleek white lacquer details, creative mirrored walls, avant-garde furniture and soaring floor-to-ceiling windows that reveal central London’s electrified streets and storied architecture. Meanwhile, an open floor plan and oversized multifunctional vanity/work desk attend to modern multitasking needs. Stay in touch with state-of-the-art entertainment and cutting-edge technology, including dual-line wireless phones with speakerphone and voicemail capabilities, High Speed Internet Access, flat screen TVs and an iPod docking station. Of course our Whatever/Whenever® service is on hand for everything else, including a curated media library, W MixBar and fully stocked mini bar. Recharge anytime of day in the rainforest shower, where premium Bliss® Spa sinkside six bath amenities unite with plush W bathrobes. And enjoy a rejuvenating night’s sleep on the signature W bed with pillow-top mattress, 350-thread-count sheets and a goose down duvet and pillows. Whose guest rooms are smoke-free? This W Hotel offers a flirty, fun, fresh experience. Forget minibars, W London presents its super-sized mobile cocktail bar: the Mega Bar. Whether you are seeking the ultimate pre-party ahead of a night out on the town or planning an indulgent night in, the Mega Bar offers a luxurious in-room bar service complete with personal mixologist, sound system and disco ball. From the comfort of your room enjoy insider access to a diverse mix of sounds. Don&apos;t Have The Right Outfit? Don&apos;t be caught off-guard.